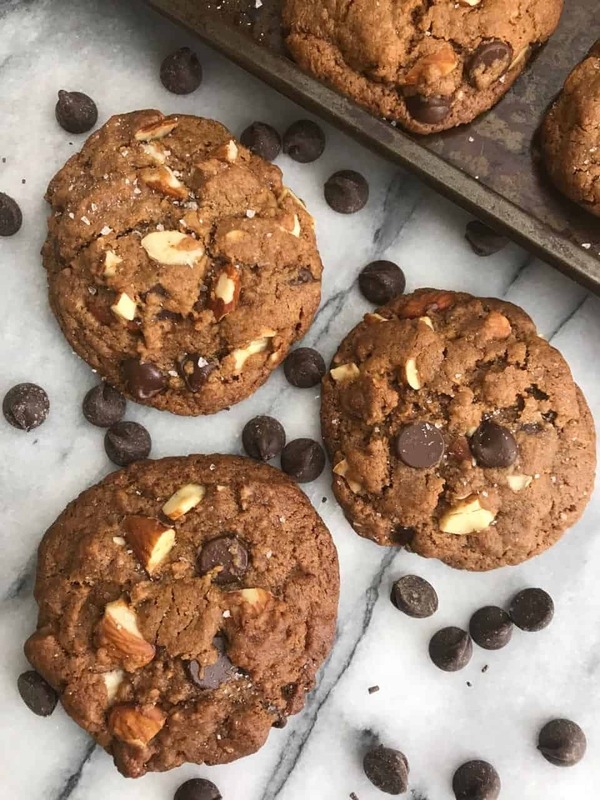 These Flourless Almond Butter Cookies are the dreamiest, richest, and most delicious healthy cookie! Made with only a handful of simple ingredients and come together in less than thirty minutes. Holy. Moly. 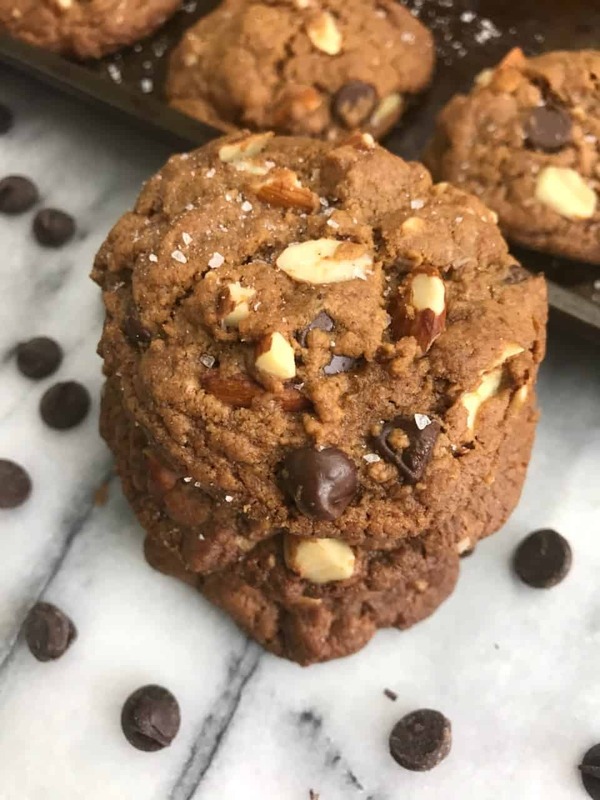 Stop whatever you are doing and go make these flourless sea salt almond butter cookies right now. Think sweet, rich, salty, soft, heavenly pillows. If that sounds like something you may like, then what are you waiting for?! I spent the majority of my weekend out and about but one thing I did do was make these for the third time. I’ve shared them with so many people who have requested that I make them again and again (cough Tom cough) so who am I to deny someone of cookies. I also took it as a chance to perfect the recipe and after the third time making them, I’m confident these babies will blow you away. For as long as I can remember, I’ve been a fan of sweet and salty. I was the girl who would ask for the pretzel cone at the ice cream parlor because that combination of pretzels and ice cream is my most beloved combo of foods (in addition to banana and peanut butter, duh!) My mom got me started on it as a young girl. Well these cookies are like the perfect combination of that sweet and salty flavor. I even forgot that they were made with nutritious ingredients – I can’t complain about a healthy delicious tasting cookie. 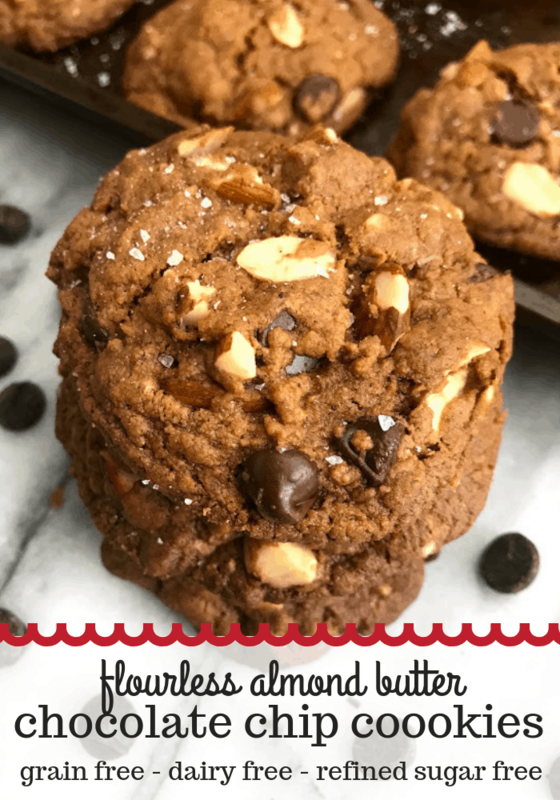 They are gluten-free, dairy-free and are an absolute dream! The best part about them? They literally take less than 10 minutes to whip up and then another 15 to bake, the hardest part is waiting for them to cool. Be sure to tag #ELWeats on Instagram if you make them. In a large bowl, mix together almond butter and coconut sugar. Add chocolate chips and almonds and stir till combined. Let chill in fridge for at least 15 minutes. Place in 2 Tbsp balls on parchment lined baking sheets, and only press down slightly. Bake for 12 -14 minutes. They will look soft but will set as they cool. sounds so good, can’t wait to try. 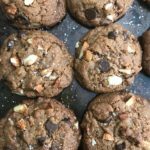 do you have the macro breakdown of these cookies? Looks great! Can I use brown or regular sugar instead? Yes!! Brown sugar will work great. Thank you! 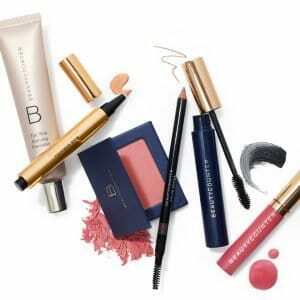 Love your Instagram and site! These look amazing! I wonder if they would work using a Vegan egg substitute maybe a flax egg or aquafaba? You could definitely try! I’ve never made them that way. Did u try them with the vegan egg sub yet? They were soooooo delicious! I made them without chocolate but with cinnamon roasted appelchunks and split almonds… Thank you from Belgium! WOW! Those sound amazing! Glad you’re enjoying!